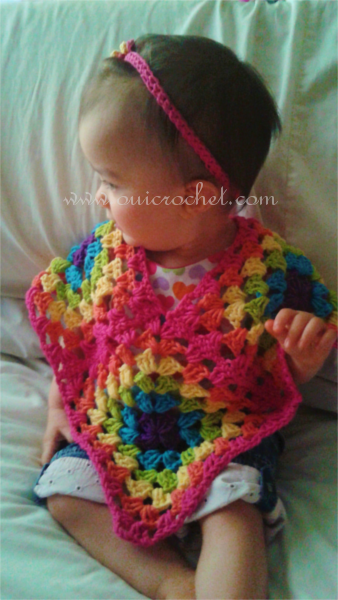 I recently made this cute little granny square poncho for my 1 year old daughter. 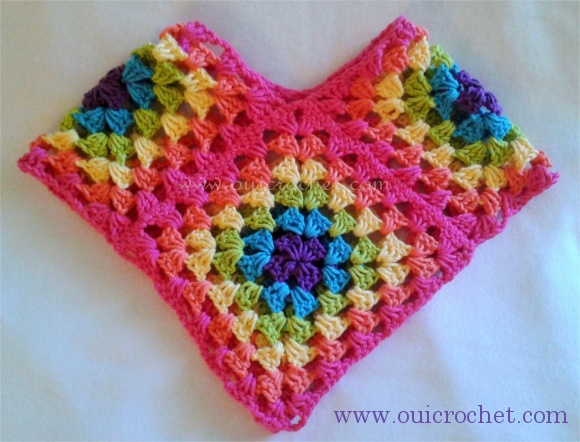 I paired the poncho with a modified version of my Preemie Headband 1. I was making a rainbow colored granny square for my Classic Granny Square Stitch Tutorial, and figured I would make a few more! I made six or seven of them, but this poncho only used four. 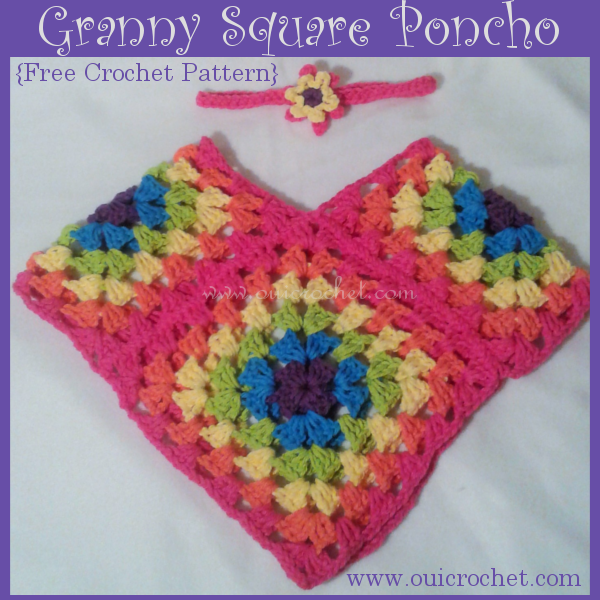 This poncho is incredibly easy to make. 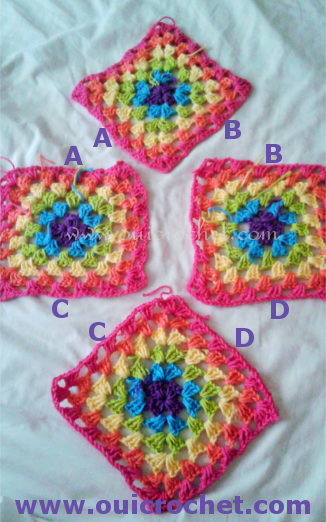 It is a matter of making the 4 granny squares and sewing them together. That's it. You could add a simple trim around the neck, but it isn't necessary. The headband modifications were very easy, too. I used an I hook instead of the F, and I made it larger. (Check out my Hat and Headband Size Chart if you need a reference). I also used the Deluxe Loopy Flower Applique, instead of the simple one. That's it. This adorable little set can be worked up in one afternoon! Rounds 5 & 6: Repeat round 4. Using the same color yarn as your final round, thread your yarn needle and sew the sides together according to the photo below. Just match up the letters, and sew them together.